Eight years ago this day, I launched myself into the wide and far-reaching space of the blogosphere. And Pinoy Transplant In Iowa has been in orbit since then. Eight years in existence may be deemed a milestone, especially if you consider the fact that according to research (which I also read from a blog), the average lifespan of a blog is less than 100 days. Perhaps I’m just more stubborn. Too stubborn to quit. Though in all honesty, I seriously thought of walking away last year. I even have a “swan song” article written already, though it remained unpublished. Again, too stubborn to quit. I am thankful for all of you, my readers and followers. The silent majority of you are not bloggers. The past year has been the most successful year yet, with regards to readership, as I got more than 70,000 visits last year. But I know, that’s nothing compared to some popular blogs that can garner that same stats in just a few days. For me, it took me eight years to establish that level of audience. That’s fine, Rome wasn’t built in one day. Speaking of Rome, do you know that the Colosseum in Rome took 8 years to build? It was completed in 80 AD. Given the available technology and equipments they have during that time and considering how colossal (sorry, pun intended) that structure was, which can hold 50,000 people, eight years was really not long, but was rather quick. So a period of time can be short or long if you look at it in different perspectives. Anyway, we know that the Colosseum is still standing today after almost 2000 years. Don’t get me wrong, I am not having the delusion that this blog will have the same longevity as the Colosseum. But at least I can say that with the number of visits I have, I can fill the Colosseum in a year. To all of you, again, I am grateful and humbled for your continued visits. While we were on a trip in Israel, we stopover for lunch in a restaurant overlooking the Sea of Galilee. 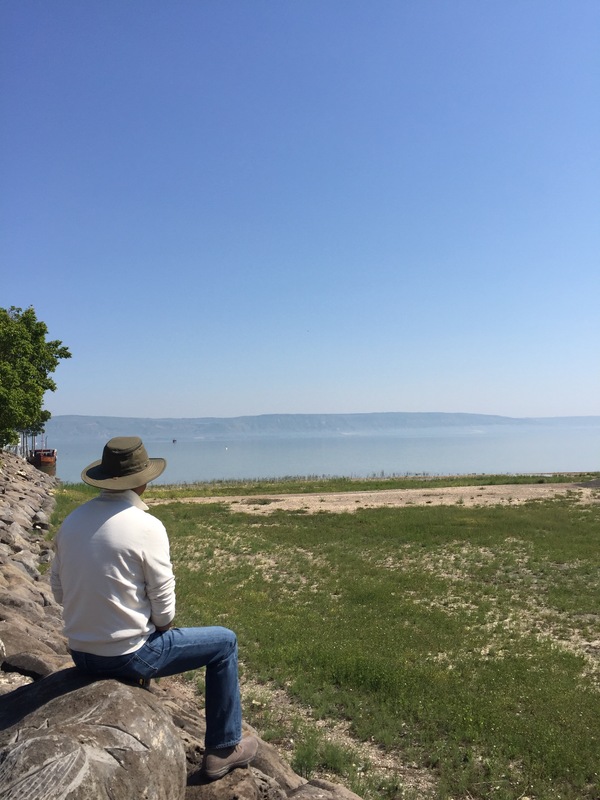 Even though it is named the Sea of Galilee, it is actually a lake and not a sea. Besides enjoying the view, I enjoyed the food there as well. The most popular in their menu being beside the Sea of Galilee is fish of course. And that was what I ordered. After the meal I saw this sign on a wall. That is absolutely correct. Be thankful for even the small stuffs in this life. Like a good meal. Or a beautiful day. Or a smile from a stranger. 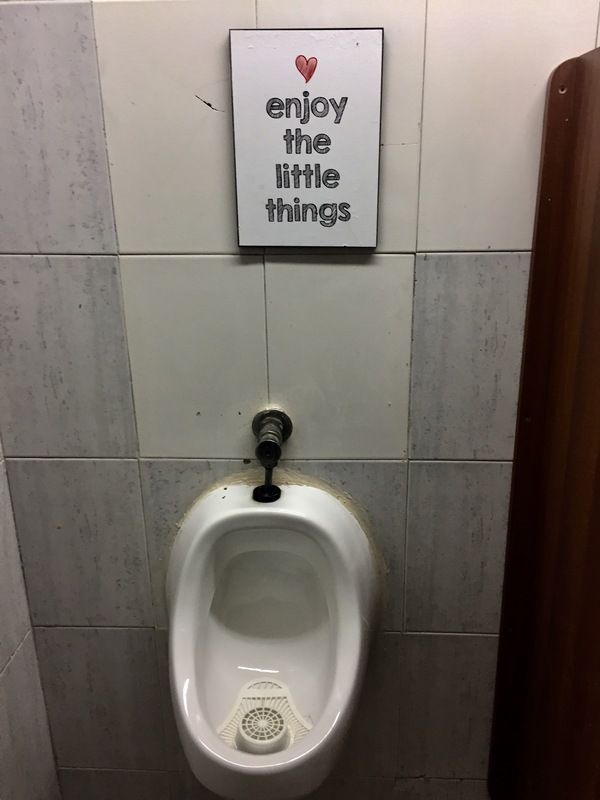 Appreciate the little things. Nothing wrong with this reminder, right? 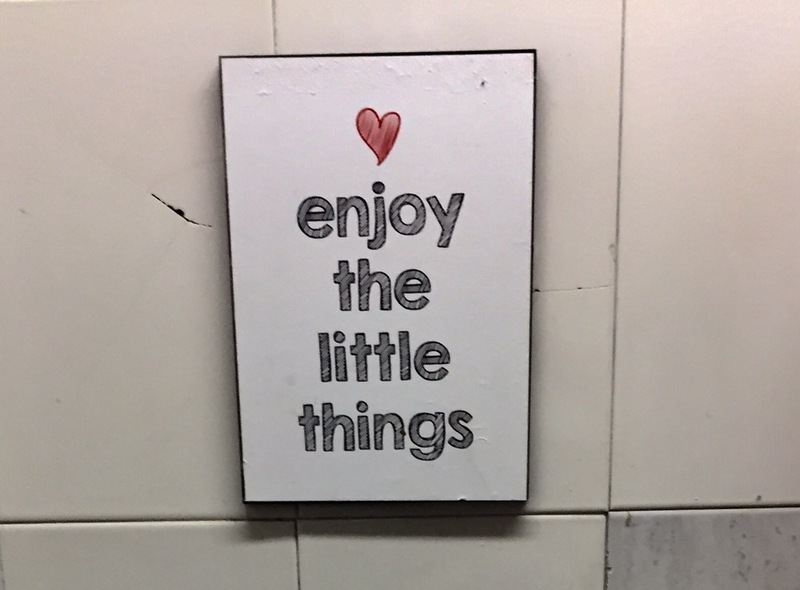 Except that we must be careful on what we call as “little things” as it could be a slight jab or even a downright insult. Depends on the situation, I guess. You don’t believe me? Well, here’s the whole story of this sign.